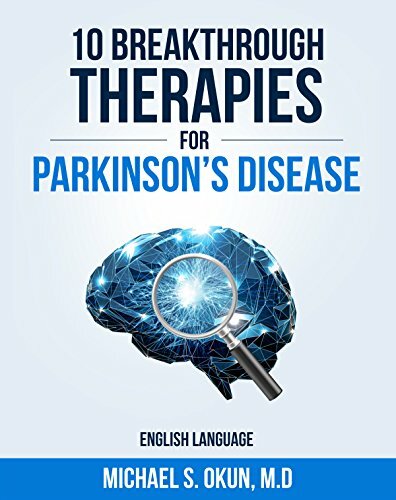 Below are the group of talented doctors, scientists and academicians who have translated Parkinson's Treatment: 10 Secrets to a Happier Life into over 20 different language editions. Dr. Daniel Martinez-Ramirez received his M.D. from the Autonomous University of Nuevo Leon in 2005. He completed an internship at the Autonomous University of Puebla and Neurology residency at the TECH Institute of Monterrey in 2012. Following residency he was trained in Movement Disorders at the National Institute of Neurology and Neurosurgery in Mexico, City, a leading neurological hospital in Mexico. He is currently a Movement Disorders fellow of the Center for Movement Disorders and Neurorestoration at the University of Florida. Beata Ferencz graduated with an MSc, MPhil in Neuropsychology from the University of Maastricht, the Netherlands. During this time she completed her master thesis at the University of Florida Center for Movement Disorders and Neurorestoration, focusing on apathy in Parkinson’s disease. Beata is currently a PhD student at Karolinska Institutet in Stockholm, Sweden where she studies the impact of genetic polymorphisms on brain structure and episodic memory in healthy aging and Alzheimer’s disease. Dr. Ho-Won Lee is Associate Professor and Head, Neurology Center, Kyungpook National University Medical Center (KNUMC) and the Director, Geriatric Health Care Center, KNUMC, Department of Neurology, Kyungpook National University Hospital. He is also part of the Brain Science & Engineering Institute, Kyungpook National University and the Department of Neurology, School of Medicine, Kyungpook National University. Dr. Lee is a fellow in Parkinson's Disease and Movement Disorders at the University of Florida Center for Movement Disorders and Neurorestoration. 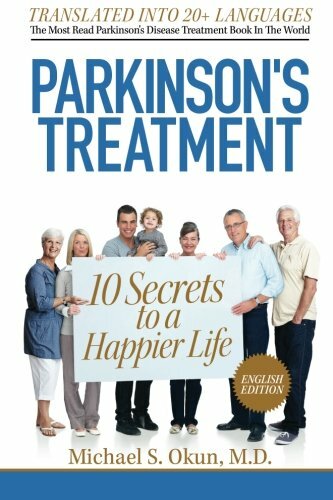 There is also a print version now available of Korean Parkinson's Treatment: 10 Secrets to a Happier Life. Dr. Criscely L. Go, received her M.D. from the Royal and Pontifical University of Santo Tomas in Manila, Philippines. She has completed her internship and residency training in both Neurology and Psychiatry at the same institution in 2009. She pursued further advanced training in Movement disorders at the Center for Movement Disorders and Neurorestoration at the University of Florida in 2009-2010. Currently, she is a Fellow of the Philippine Neurological Association, a Diplomate of the Philippine Board of Psychiatry and an active member of the Movement Disorder Society of the Philippines. She currently practices Parkinson's Disease and movement disorders in the Philippines. Peggy Spauwen is a psychologist who received her Research Master’s Degree in Neuropsychology at Maastricht University, the Netherlands. As an intern at Maastricht University, she wrote a minor and master thesis on the behavioral and cognitive effects of deep brain stimulation and dopamine medication in patients with Parkinson’s disease. Currently she works as a PhD student at the School for Mental Health and Neuroscience at Maastricht University where she studies the relationship between type 2 diabetes and cognitive functions. Genko Oyama, received his M.D. from Saitama Medical School in 2002. He has completed his internship and residency training in Neurology at the Juntendo University School of Medicine in 2006. He also received his Ph.D. from Juntendo University Graduate School of Medicine and his dissertation was on basic mechanisms of of Parkinson's disease research. He pursued further advanced training as a fellow in Movement disorders at the Center for Movement Disorders and Neurorestoration at the University of Florida in 2009-2011. Currently, he is an assistant professor in the Department of Neurology, Juntendo University School of medicine. He is also courtesy assistant professor of Department of Neurology, University Florida. He is currently practices Parkinson's disease and movement disorders in Tokyo, Japan. Dr. Zhongxing Peng-Chen received her M.D, from Pontificia Universidad Católica de Chile and she completed her neurology residency at Universidad Mayor in 2008. She was trained in Movement Disorders at the Center of Study for Movement Disorders (CETRAM), Chile in 2010, and she completed her Research Fellowship in Movement Disorders at the University of Florida from 2011-2012. She is currently working in Parkinson Disease and Movement Disorders in Chile; at Hospital Padre Hurtado and Movement Disorders Foundation ATIX, and she participates in clinical research in Parkinson's disease at Lasso &Bittner Neuropschycology Research Center in Chile. Marco Sassi graduated with an MD degree and received a Specialty Degree in Neurosurgery at the Milan State University, in 2001 and 2006. He also completed a Doctorate degree in Movement Disorders Neurology at the Milan Catholic University in 2009. He is currently a neurosurgeon at the Milan Galeazzi IRCCS Hospital, one of the leading Centers for functional neurosurgery and Deep Brain Stimulation in Italy. He has published many articles in Parkinson's disease and movement disorders and was on one of the pioneering research teams introducing deep brain stimulation for Tourette syndrome. Mariana Moscovich, M.D. completed Neurology training at the Pontifical Catholic University of Paraná, Curitiba, Brazil in 2011. She pursued further advanced training in Movement disorders at the Center for Movement Disorders and Neurorestoration at the University of Florida until 2012 where she spent two years as a fellow. Currently she is practicing as a Parkinson’s Disease and Movement disorders specialist in Curitiba, Brazil. She is also courtesy assistant professor of Department of Neurology, University Florida and a PhD student at Federal University of Paraná. Dr. Moscovich is a movement disorders neurologist who has special expertise in Parkinson's disease, ataxia, dystonia, and historical neurology. She has also studied deep brain stimulation and performs research in this area. Omar Alsanaidi is a M.D. neurology resident from King Fayad City, Riyad, Omar is a current Movement Disorders research fellow at the University of Florida Center for Movement Disorders and Neurorestoration in 2013. Omar has a special interest in clinical and research aspects of Parkinson's disease and medical education. Shankar Kulkarni obtained a Bachelor’s degree in Microbiology from Bombay University in 1975. He researched Behavioral Neurogenetics of the Fruit-fly (Drosophila) for his Master’s thesis at Bombay University, India (1981) and for a Ph.D., from Brandeis University, Mass. in 1989. He worked on the genetics of Glutamate acid Decarboxylase (GAD) in Drosophila during his postdoctoral fellowship at the Worcester Foundation for Experimental Biology, Worcester, MA (1988 to 1991). In 1991, Shankar pursued his long-time interest in helping people with diseases by changing his career to Physical Therapy (M.S., U. Mass, 1993). Shankar has worked in the outpatient settings including orthopedics and neurology at Fairlawn Rehab Hospital, Worcester, MA (1993 to 2003) and Shands Rehab at Magnolia Parke in Gainesville, FL (2004 to 2012). Recently, he moved to work full time at the UF Center for Movement Disorders and Neurorestoration. Shankar is a member of a multidisciplinary team which evaluates patients with a variety movement disorders diagnoses including Parkinson’s Disease, Parkinsonism, Dystonia, and Essential Tremor. He has also teamed up with Heather Simpson, OTR/L to provide therapy services to Ataxia and Muscular Dystrophy clinics at the UF Movement Disorder Center. Dr. Aparna Wagle Shukla is an Assistant Professor in the Department of Neurology at University of Florida, USA. She completed three years of Internal Medicine and three years of Neurology training in India. Subsequently she completed her second Neurology Residency in the USA. She obtained fellowship training in movement disorders from the University of Toronto, Canada. During this training, she completed several research projects that utilized Transcranial Magnetic Stimulation to investigate electrophysiology of movement disorders. Currently her research at University of Florida focuses on electrophysiological mechanisms of action for Deep Brain Stimulation therapy in Parkinson’s Disease and Dystonia. She has published many articles and has given many lectures on Parkinson's disease. Dr. Vinata Vedam-Mai received her Ph.D from the University of Georgia. She is currently a post-doctoral associate at the University of FL, under the joint guidance of Dr's. Michael S. Okun and Brent A. Reynolds. She is also the coordinator of the DBS brain tissue bank at UF, and the central coordinator for the ANS/St. Jude DBS brain bank. Using quality post-mortem tissue as well as animal models she pursues her interests in understanding a) Stem cell biology, b) Parkinson's disease, and c) DBS. She is also involved in cancer stem cell research, particularly in investigating the key cellular and molecular mechanisms of brain tumor, as well as novel treatment strategies. Maria Hack is a substitute teacher, artist and children’s book writer. Maria plans to continue her education at Florida Atlantic University and is working towards a degree in Linguistics and Education. Maria enjoys studying languages and has completed courses in Japanese, Classical Arabic, American Sign Language and Spanish. Maria is proficient in Bengali, Urdu and Hindi. Currently she is working on a bilingual children’s book. Maria is grateful to her friend and fellow translator Abdullah Al Arafat who helped to refine this Bengali translation. One of Maria’s passions includes calligraphy. Maria enjoys auctioning her artwork and calligraphy to raise funds for various charities, and her husband Nawaz Hack is a M.D. fellow at the UF Center for Movement Disorders and Neurorestoration and a member of the United States Navy. Jaroslaw W. Slawek is a Professor of Neurology at Medical University of Gdansk, Poland and the head of Neurology and Stroke Departments at St. Adalbert Hospital, Gdansk, Poland. His main practical and scientific interests focus mostly on Movement Disorders, specially Parkinson’s Disease Dementia, Atypical Parkinsonism, Dystonia and Spasticity. He is a specialist in Botulinum Toxin therapy using this medication in his practice for almost 20 years for different indications in neurology (dystonia, spasticity in adults and children, hypersalivation, hyperhydrosis). He was the Head of the Polish Movement Disorders Section and a member of the national board of Polish Neurological Society, a member of Movement Disorders Society and a member of the European Huntington’s Disease Network. He is an author and co-author of more than 100 peer-reviewed papers published in Polish and in international journals, and is considered an expert on Parkinson's disease. Emilia Sitek, received her M.A. in psychology at the University of Gdansk in Poland in 2006. She completed her Ph.D. in neuropsychology at the Medical University of Gdansk in 2010. Her dissertation was devoted to the self-awareness of symptoms in Huntington’s and Parkinson’s diseases. She completed her specialization in clinical psychology in 2012. She has worked as neuropsychologist in Professor Jarosław Sławek’s Movement Disorders team since 2006. Her research interests focus on cognitive and language deficits in neurodegenerative disorders, especially fronto-temporal (FTD) dementia, Parkinson’s disease and Huntington’s disease. Dr. Mindaugas Bazys, received M.D. from Kaunas Medical University, Lithuania in 2002. In 2010 completed residency training program in Neurosurgery at Aarhus University, Denmark with specialist in Neurosurgery qualification degree. He continued subspecialization in Spinal Neurosurgery as a Clinical Fellow at John Radcliffe University Hospital, Oxford in 2010/2011. Now Senior Clinical Fellow in Neurosurgery in Addenbrookes University Hospital, Cambridge, he has research interest in Parkinson's disease and movement disorders. Mustafa Saad Siddiqui is an Associate Professor of Neurology & Neurosurgery at Wake Forest School of Medicine in North Carolina USA. He is director of Parkinson's & Movement Disorders program at Wake Forest Baptist Health. Dr. Siddiqui graduated from Quad-e Azam University in Pakistan in 1990. He did his Neurology residency from Drexel University, Philadelphia and Fellowship in Movement disorders and Deep Brain Stimulation from University of Florida in Gainesville, USA. Dr Siddiqui has published in peer reviewed journals such as Neurosurgery, Journal of Neurology, Stroke, Journal of Neurology Neurosurgery & Psychiatry, Stereotactic & Functional Neurosurgery and written a number of book chapters. He is listed in Best Doctors in America and has been Principal investigator in many clinical trials for Parkinson's disease. He is considered an expert on Parkinson's disease and movement disorders. Christine Daniels received her MD degree 2001 and did her neurological training at the Department of Neurology, University of Kiel, Germany. In addition to her clinical training she worked as a research fellow in the movement disorders research team under Professsor and current President of the Movement Disorders Society, G. Deuschl. She oversaw 12 multicenter trials in the field of Parkinson's disease, several smaller investigator-initiated trials, and was one of the Co-investigators of the German multicentre study on Quality of Life in patients with STN-DBS. In 2009 she completed her formal approval as a medical specialist in Neurology and continued her medical training in the field of psychiatry. In 2013 she joined the movement disorders specialist team of Prof. J. Volkmann, University of Wuerzburg, Germany, and is working as an Senior Consultant Neurologist in the interdisciplinary neuro-psychiatric day care clinic with special interest in Parkinson's disease. Dr. Frandy Susatia earned his medical degree from Atma Jaya University Faculty of Medicine in Jakarta Indonesia. He took his residency in Neurology at the University of Santo Tomas Hospital in Manila, Philippines. Following his residency, Dr. Susatia went to the National Neuroscience Institute/Tan Tock Seng Hospital in Singapore and Wake Forest University in North Carolina, USA where he obtained additional fellowship training in stroke and neurosonology. In 2009 to 2010, he completed a research fellowship in movement disorders at the University of Florida Center for Movement Disorders and Neurorestoration. He is currently back in Jakarta practicing neurology at Siloam Hospitals Kebon Jeruk, and he has a special expertise in Parkinson's disease. Dr. Nadira Aitsahlia received her M.D from the Institute of Medical Sciences, University of Algiers, Algeria. She completed her residency training in Hepatogastroenterology in the Department of Gastoenterology , University Hospital of Algiers and Military Hospital of Algiers. She obtained her Assistant Professor Diploma in 1991 and worked in the Department of Gastroenterolgy , University of Algiers for 12 years with a focus on Inflammatory Bowel Diseases and Colon Cancer. She is also a member of the Algerian Society of Gastroenterology. She currently lives in the United States. Her passion is in primary prevention of diseases through education and improving health of the population worldwide and this has led her to pursue a Master's Degree in Public Health which is her current goal. She is interested in getting Parkinson's Disease information to all of the world's French speaking regions. Dr. Natlada Limotai, received her M.D. from Thammasart University, Thailand. She completed her Neurology residency training at Chulalongkorn University in 2008. She pursued further advanced training as a research fellow at the Center for Movement Disorders and Neurorestoration at the University of Florida in 2010 under supervision of Dr. Michael S. Okun. In addition, she has recently finished clinical fellowship in movement disorders at the Movement Disorders Center at University of Toronto in 2013, under the supervision of Dr. Anthony Lang. Currently she is an active member of Thai Parkinson disease and movement disorders society. She currently practices Parkinson's disease and movement disorders in Thailand. Dr. Hasmet Hanagasi graduated as a medical doctor in 1991 and worked as an investigator at the Queens Square Hospital and Parkinson's Disease Unit in 1998. He is part of the Istanbul University faculty of Medicine in the Department of Neurology Unit of Neurology of Behavior and Movement Disorders since 1999. He is a professor of neurology and his research focuses on Parkinson's disease and neurodegenerative disorders. He has authored or co-authored over 60 peer reviewed research articles and book chapters. Dr. Zeynep TUFEKCIOGLU received her medical degree from Kocaeli University in 2005. She then completed an internship at Locaeli University and went on to complete Neurology residency at the Science University in 2012. She then completed a stint at the Malazgirt Government Hospital and is now completing a movement disorders fellowship the Center for Movement and Behaviour Disorders at Istanbul University.